The Fair Work Ombudsman has just issued a report criticising Woolworths with a finding that some trolley collectors working at its supermarkets were being paid as little as $10 an hour. The trolley collectors should have been paid between $18.01 and $22.51 an hour depending on whether they were full-time, part-time or casual employees. The underpayment allegations were revealed in the report which disclosed the results of a 2014 inquiry by the Fair Work Ombudsman into the procurement of trolley collection services by Woolworths supermarkets. As part of the inquiry, 130 Woolworths sites were visited with the Fair Work Ombudsman finding “more than three in every four “had indications of some form of non-compliance with workplace laws”. “Almost one in every two presented serious issues; that is, multiple indicators of non-compliance with workplace laws,” the Fair Work Ombudsman said. According to the inquiry, many of the collectors were overseas workers “and vulnerable to coercion and exploitation”. Trolley collectors for Woolworths are not direct employees of the supermarket and are instead employed by external businesses which provide trolley collection services. “The Inquiry found that while Woolworths does have some governance systems in place, these have not been effective – and this has contributed to a culture of non-compliance by its contractors,” the Fair Work Ombudsman said. 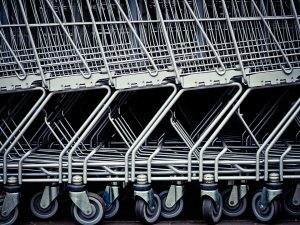 The Fair Work Ombudsman said it and its predecessor agencies had investigated allegations against businesses providing trolley collection services to Woolworths for almost a decade. The 2014 inquiry was concerned by an overall lack of improvement in compliance along with allegations of violence towards some trolley collectors. “We were particularly concerned by allegations of threatening and intimidating behaviour towards trolley collectors at Woolworths sites in Queensland and South Australia,” the Fair Work Ombudsman said. “Four trolley collectors complained that their employment had been terminated after they turned to the agency for help, with one saying the employer visited him at home “to pressure him to withdraw” his request for assistance,” the Fair Work Ombudsman said. Woolworths has responded to the results of the inquiry by saying it cooperated with the 2014 investigation and said that if the investigation was to be conducted today, its arrangements would not draw criticism. Woolworths said the latest report contains new information not previously provided to them by the Fair Work Ombudsman and so it has not been able to investigate into these matters. “The report also contains a number of issues which Woolworths has been unable to investigate and despite repeated requests from Woolworths, the Fair Work Ombudsman has not provided the necessary details for us to enable an investigation,” Woolwroths said in a statement. The supermarket said since 2014 it has put in place significant additional governance arrangements including mandatory independent audits, educating contractors on pay conditions, and requiring directors and owners of trolley collection services provide annual statutory declarations conforming compliance with workplace laws. Woolworths says it also is now prompting its ‘Speak Up Helpline’ where misconduct issues can be reported and it has strengthened its procurement process through a new benchmarking tool. “Woolworths takes all matters raised by the Fair Work Ombudsman seriously and has a zero tolerance approach to all non-compliance with workplace law,” the Woolworths statement said.